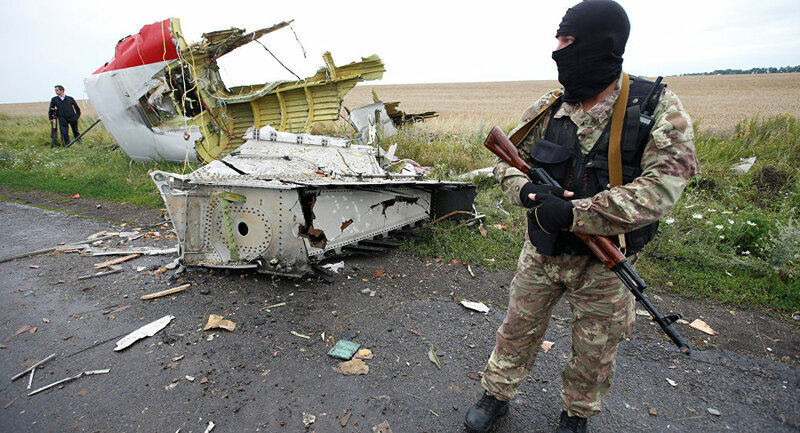 The Netherlands is showing a special attitude to Ukraine in the investigation into the 2014 crash of Malaysia Airlines Flight MH17 in eastern Ukraine, Russian Deputy Prosecutor General Nikolay Vinnichenko told the news agency RIA Novosti. Mr. Vinnichenko, tell us please how does Russian-Dutch cooperation in the investigation into the Malaysian Boeing MH17 crash look now? How has it developed since the beginning? It's obvious that this cooperation is now fraught with differences; both countries have been making completely opposite statements about the circumstances of the tragedy. First of all, it is worth emphasizing that Russia has been interested in establishing the truth and has been ready to contribute as much as possible to the investigation since the day of the tragedy. I'll remind you that Russia has participated in the work of the technical commission, although we did not agree with the conclusions of the commission. In our view, the technical commission wrongly established both the type of the missile and its trajectory toward the aircraft and, consequently, mistakenly identified the launch site. Perhaps for this reason, when the Joint Investigation Team [JIT] began its work in 2015, Russia was officially denied the possibility of joining it. Russia could have, however, provided invaluable assistance to the investigation. Despite this refusal, Russia has all these years still been actively cooperating with the Netherlands at the level of national prosecutor's offices, and has for all four years been providing all available information on the MH17 crash. I would like to stress that the Russian Prosecutor [General's] Office responded to all nine requests it received by sending an impressive amount of important data to the international investigation. While working on answers for the Dutch side, the relevant Russian agencies have done a tremendous amount of unprecedented work, from declassifying data on Russian military equipment and conducting a complex experiment by [defence] Concern Almaz-Antey, to handing over primary radar data and documentation proving the Ukrainian ownership of the missile that hit the Malaysian Boeing. Russia was open about this data and shared it in the greatest possible detail with the public, aware of how important this matter was and the level of secrecy that surrounded the JIT investigation. Does Russia have the ability to track the extent to which the data that it transfers is being taken into account in the international investigation? Unfortunately, since Russia is not a part of the JIT, we do not have such an opportunity. Almost immediately it became clear that the JIT was biased against both Russia and the data it provided. In fact, it has ignored the data. This is exactly how they treated the primary radar data handed over by Russia in October 2016, which was the most important evidence of the trajectory of the missile that shot down Flight MH17. At first, there was a long silence, then the accuracy of our radar data was questioned by experts working with the JIT, whose qualifications cannot be verified. In Russia, meanwhile, a special group of qualified specialists was engaged in analysing this primary data. The above-mentioned experts said that if Russian radars did not detect any missile, that didn't mean that it wasn't there. That was their argument. Let's focus on the radar data. How would you comment on the claim that in October 2016, the data that Russia passed on to the Netherlands was allegedly in an unsuitable format, and that only in August 2017, the data was handed over in the "correct" format? That's absolutely not true. In October 2016, Russia passed on primary radar data to the investigators. The data was transferred in full along with all the necessary software to properly work with it. The Dutch side confirmed the receipt of the data, but only a few months later stated that it had some problems with deciphering it, requesting that it be provided in a different format — the so-called ASTERIX format. Moreover, a relevant official request came even later. Even though ASTERIX is no longer considered to be primary data — since it represents processed, or secondary, data, which is much less detailed — and the Netherlands could have converted the data on its own, Russia met the investigators halfway by converting the data into the ASTERIX format and resending it to the Dutch side. Wrapping up the issue of radar data, would you say that there has been any progress in obtaining similar data from Ukrainian radars by the Russian side and recordings of Ukraine's military air traffic controllers' conversations, records of Ukraine's ammunition register at the time of the crash, as well as data from US satellites? Russia has, after all, repeatedly stressed the need for this data to be provided. You have just listed all the very things that the JIT should be dealing with. These are its direct responsibilities. It is beyond Russia's competence. But the question is fair, and it should be addressed to the Netherlands. Where is the data from Ukraine and the United States? If there isn't any, why has it not been requested? If there is, why has it not been made public? How are other JIT members building their cooperation with Ukraine? On the whole, we are outraged by the fact that Ukraine is participating in the JIT. As a full-fledged member of the investigation, Kiev actually has the ability to influence the results of the probe. The Netherlands demonstrates a special attitude toward Ukraine. It lets the latter get away with failing to provide important data, such as the conversation of military air traffic controllers and the location of Ukraine's Buk [missiles], and justifies the excuses of the Ukrainian authorities about the alleged malfunction of radar facilities and other things. At the same time, they continue ignoring the fact that the Russian side has proven that the missile that hit Flight MH17 did belong to Ukraine. Moreover, the shocking truth is that the Dutch side has recently begun seeking to exonerate Kiev of blame for failing to close the airspace, arguing that it does not see sufficient legal grounds for bringing Kiev to justice. It is, however, obvious that this was one of the root causes of the tragedy. During the international investigation into the MH17 crash, Russia put forward contradictory versions of what had happened. The initial version stated that it was actually a Ukrainian Su-25 that brought down the Boeing, according to the Defence Ministry. This information was announced by the Russian Defence Ministry during a press conference in 2014. Then this version was abandoned, though no-one ever refuted it. In 2016, Russia published pictures with no Su-25 seen on them. A new account was then put forward about Ukraine's Buk missile that was stationed near the village of Zaroshchens'ke, on Kiev-controlled territory, at the time of the launch. Does Russia admit that their initial claim was wrong? If so, does this mean that the evidence of a Ukrainian Su-25's involvement in the crash was falsified? Does Moscow realize that their first statement about the jet seriously undermined trust in Russia and was probably the reason why it was not invited to join the JIT? I'll again go back to the beginning. From the very moment of the crash, Russia was very determined to assist in the investigation. That is why Russia was providing all information that emerged about the disaster, including the testimony of the Ukrainian military, since the evidence of a second aircraft in the sky was around at that time. Verifying the accounts [of the incident] is the task of the international investigation. Later, more weighty arguments and evidence began to emerge in favour of the scenario of a surface-to-air missile, which, as a matter of fact, was confirmed by an experiment by the Almaz-Antey concern back in 2015. They identified the type of missile — it's an old modification — the trajectory of its flight and, therefore, the place from which it was launched. This account, as well as the type of missile and the launch site, which were originally established by Almaz-Antey, were finally confirmed by the data of the Ust-Donetsk radar station, which Russia also handed over, and by the debris of the missile found by the JIT, which helped to establish its Ukrainian origin. Last May, the JIT presented another batch of its interim findings. According to them, the Malaysian Boeing was shot down by a Buk belonging to the 53rd Anti-aircraft Missile Brigade of the Russian Armed Forces, based in Kursk, Russia. The JIT also showed footage allegedly depicting the 53rd brigade heading from Kursk to Donetsk. In addition, a missile fragment with a serial number was shown that indicated that the missile was produced in the Moscow Region. Did Russia verify all this data? As I've already mentioned, the JIT's presentation of the missile fragments with serial numbers at a press conference in May 2018 helped clarify a number of important circumstances. Let's start from the beginning. In September 2018, the Russian Defence Ministry released information regarding the production and fate of the 9M38 Buk missile that downed the Malaysian Boeing. According to the documentary evidence at Russia's disposal, the missile was made at the Dolgoprudny Plant in 1986 and was sent to a military unit in the Ukrainian SSR [Soviet Socialist Republic]. It was established that this missile never returned to Russia. So, it was fully proven that the missile, whose debris was shown by the JIT, belonged to Ukraine. However, we see again that, like in the case of Russia's primary radar data, the JIT is continuing to just keep silent and not respond to this information, despite the fact that four months have already passed. None of the JIT members have expressed a desire to come and study the documents. I stress that the JIT has shown no interest in these documents. I would like to pay special attention to the video materials that were publicly presented by the Joint Investigation Team and apparently used as the main piece of evidence that Russian military equipment had allegedly crossed the Russian-Ukrainian border. I emphasize that all of them are just some videos from the Internet. Highly qualified Russian experts analysed them and came to the conclusion that they were falsified — the image of the Buk missile system was inserted into the video. This was clearly shown during the ministry's press conference in September 2018, while the relevant materials were officially sent to the Dutch prosecutor's office. The JIT has shown no interest in this analysis or these conclusions. Yes, the JIT investigation has indeed relied on data from social networks, including photos and videos. So, does Russia consider all the information from these platforms to be unreliable? Did you verify all this data? We do not want to call into question all the information from social networks. However, the JIT is actively cooperating with pseudo-investigators from Bellingcat, who are widely known for their false reporting. In general, it is difficult for us to explain such an approach — the international investigation is ready to easily rely on unverified and dubious sources of information, building its whole investigation around them, while ignoring Russia's irrefutable data. Speaking about this, independent investigations by various media and blogger groups have resulted in more and more information about the alleged involvement of specific Russian servicemen in transporting the Buk and downing the aircraft becoming publicly available. Moreover, back in 2016, the JIT urged everyone who had information about two key persons of interest (whose voices were allegedly heard in phone calls), code-named "Delfin" and "Orion", to report it to the investigation. Bellingcat, together with The Insider website, claim to have identified them as Col. Gen. Nikolay Tkachev, the chief inspector of Russia's Central Military District, and Oleg Ivannikov, a high-ranking Russian GRU officer. Is Russia considering questioning these individuals or allowing the JIT to do so? Is there any official data on these people that could confirm or refute the allegations of their involvement in the crash? Yes, we have seen surnames of various Russian citizens being circulated in the media and the Internet in connection to the MH17 crash. We also have seen the so-called suspects and some journalists deny this information themselves. What matters is that, to date, no real evidence of any Russian citizen's involvement in the Boeing tragedy has been provided. Therefore, there are no grounds for questioning any of our citizens as part of this case. Why does Russia oppose the idea of an international tribunal for MH17 suspects? Is it possible that it will agree to such an option one day and, if so, under what conditions? As far as I know, the Russian Foreign Ministry, which is in charge of such matters, has repeatedly spoken on this issue. In particular, the Russian diplomats have stated that this step is counterproductive and stressed that the creation of an international tribunal through the UN Security Council was not an adequate mechanism for bringing the perpetrators to justice in this case. They have reasonably noted that, to date, there has been no precedent to establish international tribunals to prosecute those responsible for acts against civil aviation. No one proposed establishing a tribunal in 1988 after an Iranian passenger plane was shot down over the Persian Gulf, or in 2001 after the downing of a Russian civil aircraft belonging to Siberia Airlines. In addition, proposals for a tribunal were voiced almost immediately, even before the JIT launched an investigation. We believe that it is necessary to first finalize the investigation and then decide on a judicial process. What do you think of the account circulated in Western media that it was a tragic accident, that there was an order to shoot down a Ukrainian An-26 military aircraft, which was in the sky at that time, but the servicemen who had a Buk in their possession wrongly determined the target and hit a passenger flight instead? Is Russia ready to consider this version of events? It is not up to the Russian side but to the JIT, which is responsible for the investigation, to verify any version of events. However, if we are talking about this, it is worth recalling that the incident around the crash of an An-26 was accompanied by active discussions in Ukraine, including at an official level. At that time, the Ukrainian authorities repeatedly stated that militias did not possess weapons capable of shooting down large air targets. Moreover, during the same [Defence Ministry] briefing in September 2018, the Russian Defence Ministry released a very telling audio recording of a conversation of the Ukrainian military indicating the direct involvement of Ukraine in the MH17 crash, which, like everything else, for some reason was ignored by the international investigation. What does Russia expect from future cooperation with the JIT on the MH17 case, especially given the pending judicial proceedings? We certainly look forward to cooperating as closely and openly as possible, to the benefit of this complex case. The Russian side is still ready to assist in the investigation in every possible way. At the same time, we call on our Dutch counterparts to take into account the Russian data, which is really very important. Russia guarantees the authenticity of all submitted data. We are ready to personally brief the Dutch investigators on it. We are continually urging the JIT to take into account the information that we pass on while carrying out the investigation and forming final conclusions, because we are convinced that it is a sound reason to review the interim findings of the criminal investigation, during which unfounded and unsubstantiated accusations have been made against Russia. However, we face the same thing time and again — even before examining our data, our foreign colleagues insist that they will still not doubt their previous findings. It turns out that, regardless of what Russia provides, it is by default "useless for the investigation" — no matter how much it will help, "it is not cooperating properly". Instead of working with the most important evidence from Russia, the Dutch investigators are continuing to ask us the same thing — to analyse videos from the Internet and comment on photos from social networks — while our documentary evidence is simply being ignored.